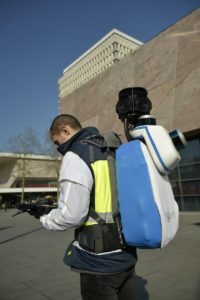 March 28th2018, Carrières-sur-Seine, France – 2018 VIAMETRIS , specialist of SLAM-based mobile scanning systems, completes its product range with a backpack-based scanning system called the “bMS3D-360”. The company continues to rely on SBG Systems’ expertise in inertial navigation by integrating the Ellipse2-D, an inertial navigation system with embedded RTK GNSS receiver. VIAMETRIS has been developing SLAM-based scanning systems for more than 10 years, including the iMS3D, a full indoor mapping system, and the VMS3D, a car-based mapping system. 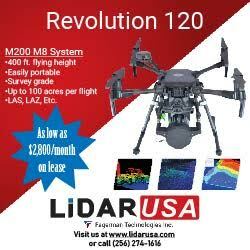 Capitalizing on this expertise, the company adds the bMS3D-360 to their exceptional offer. The bMS3D-360 has been designed for the most challenging environments where GNSS is not accessible (indoor) or highly perturbed (urban canyons, forest, etc.). The workflow is simple. The surveyor starts the system, checks on a tablet that the GNSS and inertial information are computed, and starts the survey. 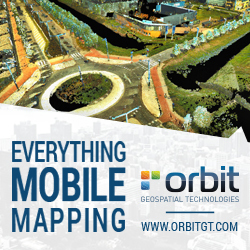 Back at the office, the user launches the INS/GNSS post-processing software to increase orientation and position accuracy, and then uses the VIAMETRIS software to georeference and colorize the point cloud. Collected data are ready to be imported into the most common design software. This workflow (from collection to plan drawing) is quickened by 7 times in comparison with a traditional method. Additionally, the bMS3D-360 is the only backpack to offer a 360° camera which greatly simplifies the treatment work. 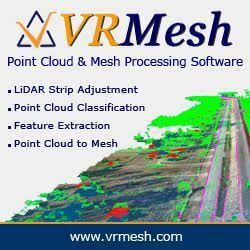 When navigating in the point cloud, the user opens a unique picture of the 360° scanned environment instead of looking at 4 different camera points of view. The Ellipse2-D from SBG Systems is a very compact inertial navigation system integrating an L1/L2 GNSS receiver. This industrial-grade INS computes roll, pitch, heading as well as position thanks to the embedded Extended Kalman Filtering. SBG Systems is a leading supplier of MEMS-based inertial motion sensing solutions. The company provides a wide range of inertial solutions from miniature to high accuracy. Combined with cutting-edge calibration techniques and advanced embedded algorithms, SBG Systems products are ideal solutions for unmanned vehicle control, antenna tracking, camera stabilization, and surveying applications. Founded in 2007, VIAMETRIS research and development team is specialized in image and signal processing, artificial intelligence, and robotics. After developing an expertise in the construction market with a mobile 3D scanner, VIAMETRIS is now focused on designing 2D and 3D mobile mapping systems combining precision and ease-of-use while reducing execution time.